Editor's Note: Juan Cole is Richard P. Mitchell Collegiate Professor of History at the University of Michigan. The following is reprinted from his blog Informed Comment. The views expressed in this article are solely those of Juan Cole. The views expressed in this article are solely those of Juan Cole. Juan Cole – you are so stupid, you do not know what you are talking about. You never traveled to Iran and you never traveled anywhere in the middle east. You are so stupid. You know NOTHING about the persian language, you know NOTHING Iran society or culture. Furthermore, you do not know anything about economics. Juan Cole, you do not even know anything about starting a business. Nevertheless, you want to right articles on other people economics. Very stupid man. Juan Cole is the author of the above article. Nothing will happen to Iran. The sanctions will actually cause backfire and may actually help Iran. India, China, Russia will buy Iran's oil in GOLD instead of dollars, thanks to the sanctions. And which countries are known for their gold? Hint: Most of them in Asia. And once Iran's oil is bought in Gold, we all know what's going to happen to the US $$$$$--- bye bye US! We're masters in playing chess, espcially since we invented it. US/EU keeps on shooting their own foot. Wrong!! Lets seeIf Iran really doesn't care about the sanctions. We will wait and see. Once sanctions are fully implemented you will see Iran's economy go down the drain. they already use the money for weapons and not to feed their own people. We know what happened in th 90's to the soviet union: collapsed overnight. and those backward mullahs will have to face their angry people. Beginning of the Iranian spring. May be Israel wouldn't have to bomb them to the ground after all ! Can't help but think how many crypto-zionist jews are here, pretending to be 'western' and showing a western point of view. Israel will again be the cause of another war.. Just as Iraq was attacked because Saddam was allegedly going to use his WMD's against ISRAEL for there treatment of the Palistinians. Nothing will happen to Iran. The sanctions will actually cause backfire and may actually help Iran. India, China, Russia will buy Iran's oil in GOLD instead of dollars, thanks to the sanctions. And which countries are known for their gold? Hint: Most of them in Asia. And once Iran's oil is bought in Gold, we all know what's going to happen to the US $$$$$- bye bye US! We're masters in playing chess, espcially since we invented it. US/EU keeps on shooting their own foot. Exactly, actually they were doing this since 2008, when the price of gold was $800. It's amazing to me how little people know... how blinded and stupid they are... Indian, not one word of your argument made any sense.... you're a dunce... a complete idiot... The US has more wealth than any country on Earth, we're not concerned with a few billion in gold you moron.... and Iran can keep thinking it's all good... til the missles rain down on their Nuke facilities and a mushroom cloud hangs over Tehran. mite be a good ideal for a lot of contrys to up date there sewage systems to collect methane. with a bunch of methane being used there would be less need for oil from other contrys. it would not be a 100% fix but it would be renewable sorce of fuel. on the plus side the water from the sewage plants would be a bit cleaner. 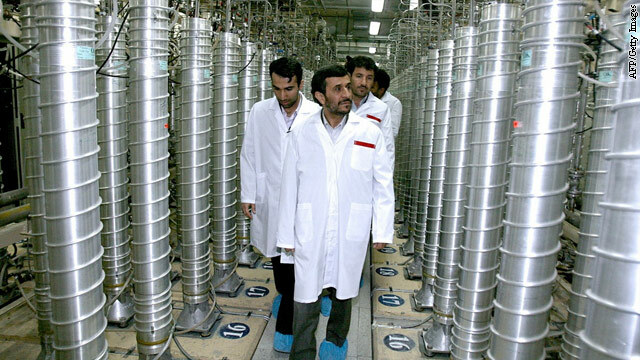 Can anybody enlighten me how Israel obtained the enriched Uranium to build 100 bombs they posess? Who the h-ll do you think worked on the atomic bomb program for the US? Eskimos? Your question is too dumb to answer. BTW, another stupid question like that and we will take the bomb back since irresponsible idiots should not have this in their possession. Gotta love the blame game coming from Iranians and Iran sympathizers... "The US was involved in an overthrow of it's Government back in the 50's" ....... SERIOUSLY!!!!!! SO WHAT!!!!! .... first off the CIA didn't overthrow the Government single handedly... There has to be an uprising in order to SUPPORT IT in the first place!!!!! second, how the heck do you blame the current Government for something done in the 1950's? Should we be blaming the current German government for what Nazi Germany did? Are you people really that Naive? Wake up... this is an Iranian regime, created by Iranians, it's 2012 and they are trying to weaponize their Nuclear program... The US and the West is responding by applying sanctions to this country and I can guarantee if necessary they will launch an attack against those Nuclear facilities... The US and the West have reacted with exceptional care to avoid conflict to this point, we could be waving a US flag in Tehran right now... or watching a smoldering Tehran on CNN... but we're giving these imbeciles plenty of chances to back down.... a Nuclear Iran is unacceptable... not only is Ahmedinijad stupid enough to use them against people.... he can also end up causing Iran's neighbors in the Middle East to begin building their own... with the kind of conflicts that have emerged over the years and the instability of Middle Eastern Governments, i don't think this can be allowed to happen. To answer the question! No It doesn't sink Iran, it will certainly make a hole in "that" ship but that hole can be fixed one way or another. but it will sink Europeans! These sanctions do unify Iranian people as one nation. Neo-con literally dominates U.S foreign policy regardless of change in presidency. Stop this nonsense. Nobody wants war or sanctions except special interest groups. When the press says "Americans" it is only referring to CNN+FOX+Military Industrial complex which are the top war-mongers. 70% of Americans are against war and want to bring troops home. Every country and every people has a right to self determination and freedom. VOTE RON PAUL !! Things are not going good for US, EU. It happens some times but we will be back with a bang. But what i was surprised is that India which is considered to be neutral has been supportive to iran(atleast regarding the sanctons). I am afraid that we are creating frustration to neutral nations like India which may have terrible consequences.